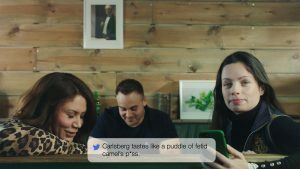 Carlsberg has marked the launch of its new Carlsberg Danish Pilsner by sharing some of the meanest things people have tweeted about its old beer in a bold, honest and witty way. 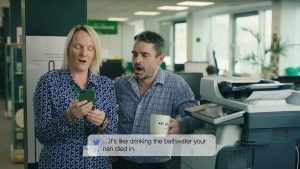 Created by Fold7, Clifford French and Initiative, the video series captures the reactions of employees across the business, from the brew house to the finance floor, which are a mixture of shock and bemusement as they read out the colourful descriptions used to describe the old brew. Filmed at Carlsberg’s Brewery in the UK, the videos have been released to mark the end of the old beer and welcome the new Carlsberg Danish Pilsner, which has been completely rebrewed from head to hop for a crisper, fuller flavour. 59% of UK lager drinkers say they prefer the taste over the current UK No1 mainstream lager. “Drinker’s interest in mainstream lager has waned because, though the world has moved on, the mainstream category hasn’t,” says Carlsberg UK’s VP of Marketing, Liam Newton.